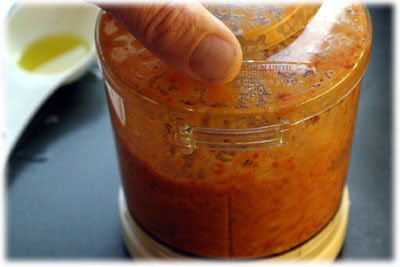 One of the things I like the most about this roasted red pepper sauce recipe is that we can just use a jar of peppers instead of roasting our own. 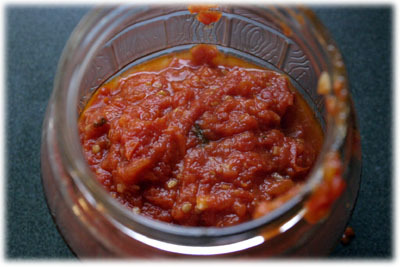 The flavor isn't sacrificed because the jars of roasted red pepper really are quite good, and it also makes this a quick recipe to use with rushed weeknight meals. 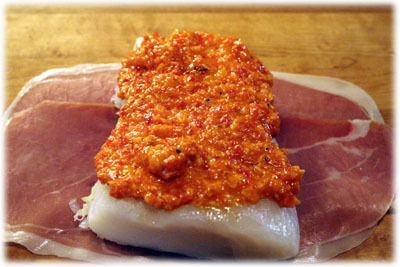 In the picture above the roasted red pepper blend is being used on a halibut fillet before wrapping it in prosciutto and grilling it. This is also a great sauce for scallops, a pasta sauce recipe or even a meatloaf or meatball sauce recipe. 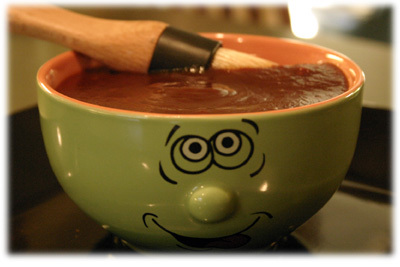 Read on, this recipe really is extremely versatile and easy to make. 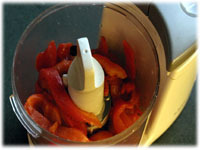 In a small food processor or blender add the roasted red peppers. Add the garlic, lemon rind and parmesan cheese to the food processor. 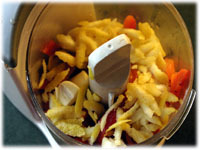 Blend the ingredients well until they're finely chopped. 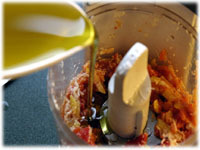 Slowly add the olive oil to the mixture and continue to blend. Continue to add oil a little at a time until the red pepper mixture reaches a thickness you're happy with. Depending on what you're using this for really determines how thick you want it.